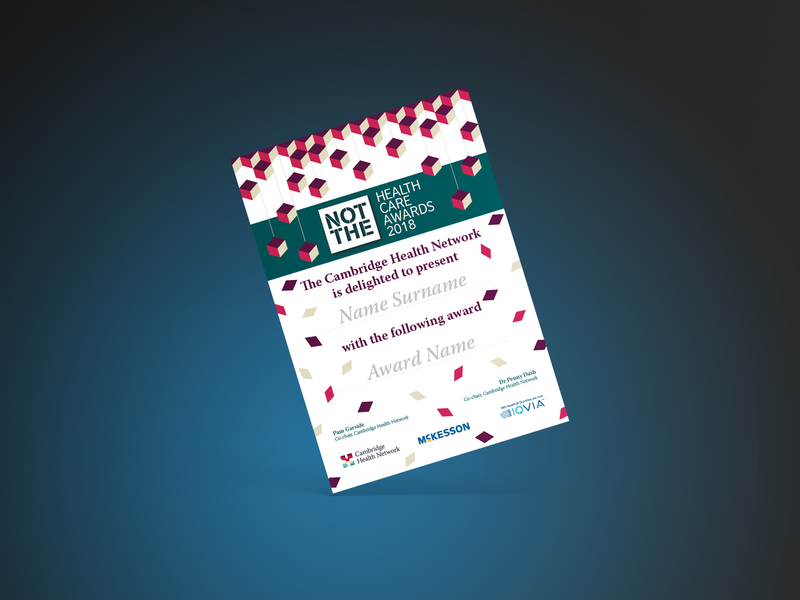 The Cambridge Health Network promotes collaboration between the public, private and academic sectors by connecting over 600 of the most prominent healthcare leaders through debate, discussion and exclusive events. 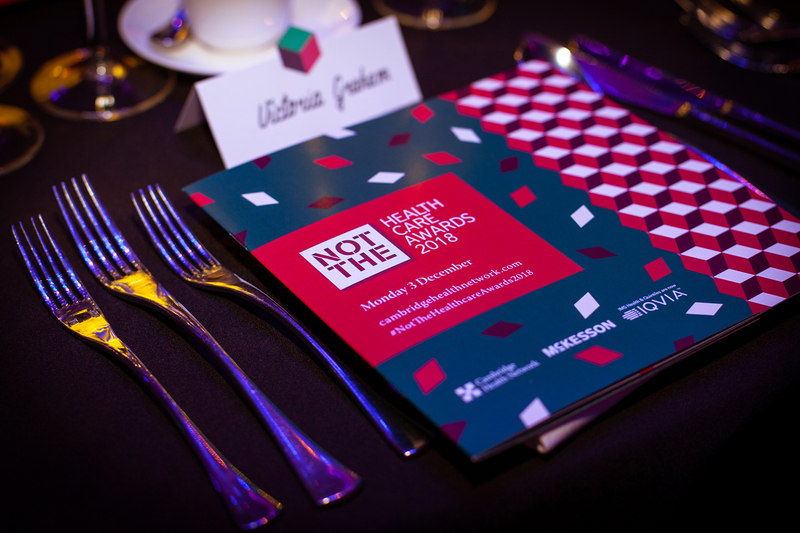 The Not the Healthcare Awards is a night for fun, laughter and a nod to traditional awards ceremonies. 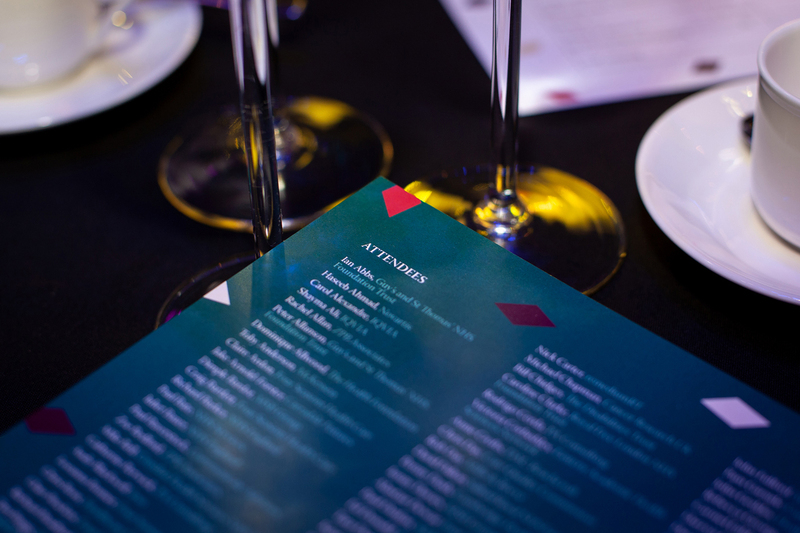 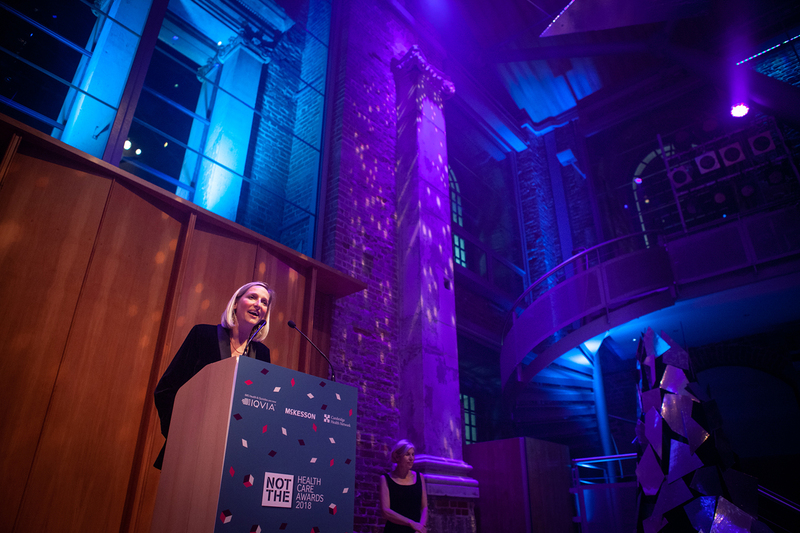 The event, which for the past few years has been hosted at the fabulous LSO St Luke’s, begins with a champagne reception and a three-course dinner followed by the infamous tongue-in-cheek awards, drinks and dancing. 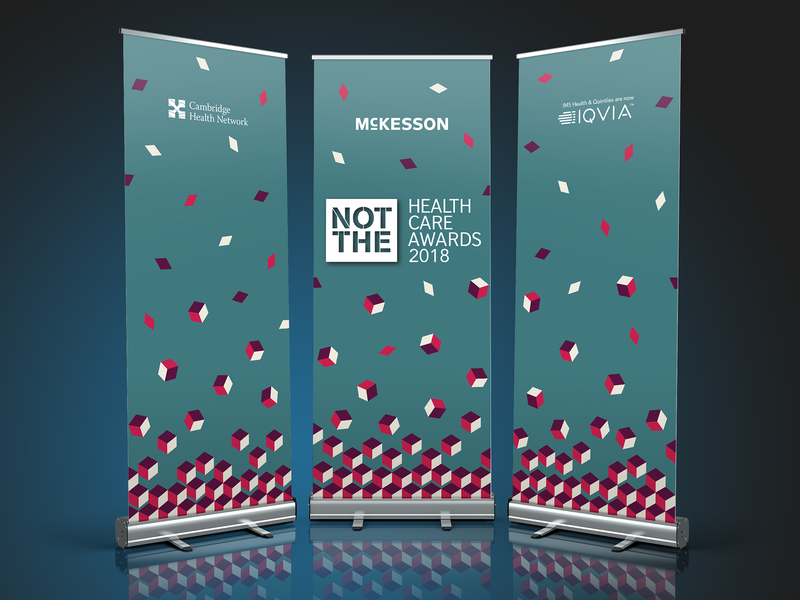 For this year’s Not the Healthcare Awards, we adapted the Cambridge Health Network’s brand colours and styles to create a festive feel for the December event. 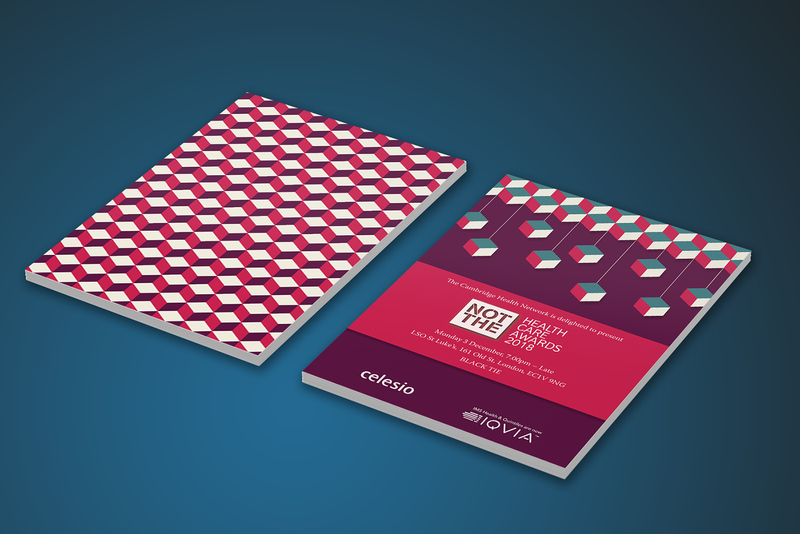 We used the geometric shapes from the CHN existing brand and arranged them into patterns that resemble stacks of wrapped up Christmas gifts. 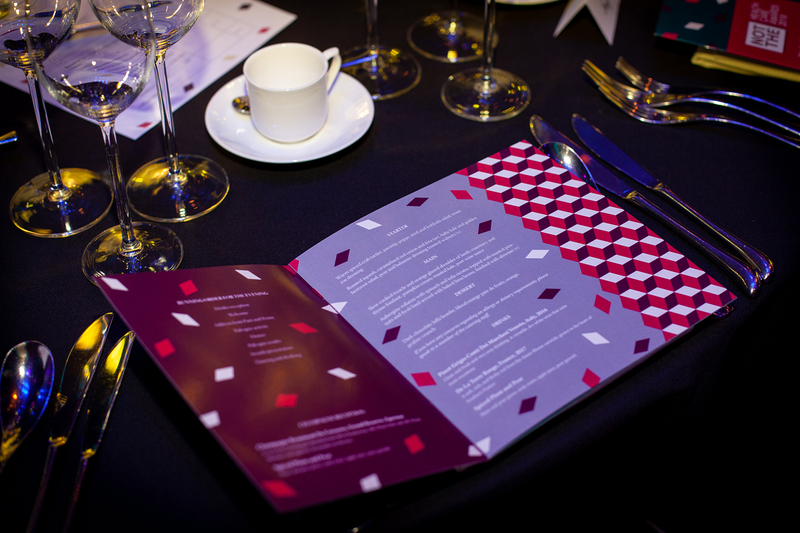 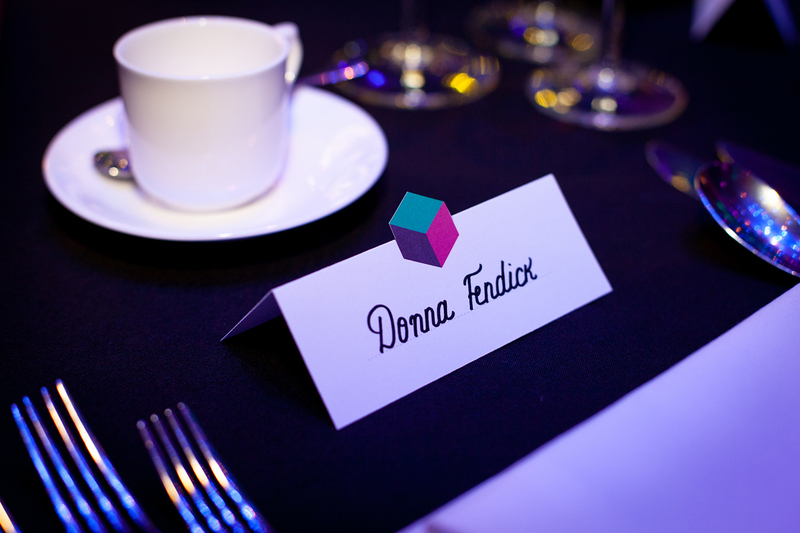 As the event drew nearer, we slowly ‘unwrapped’ them, until the rigid geometric patterns ‘exploded’ into festive confetti on the night of the awards. 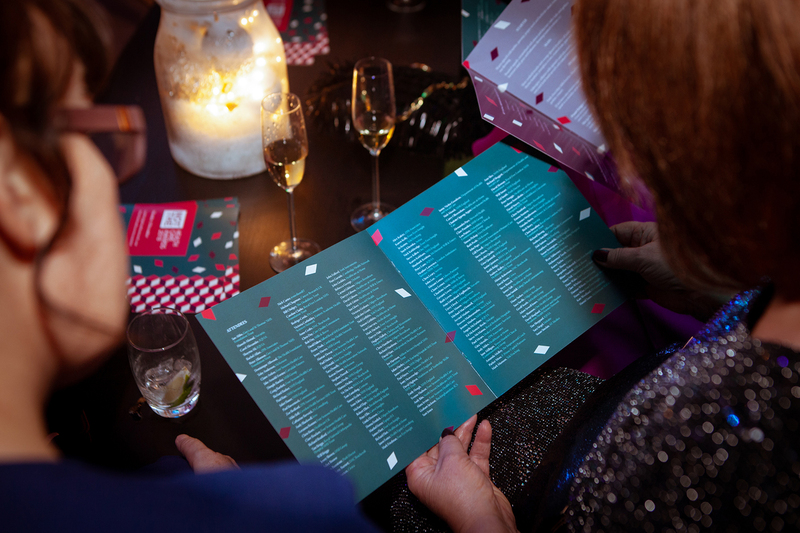 We echoed the adapted festive design across all of our event promotion and on the day branding to ensure a cohesive and consistent feel to the event’s branding.